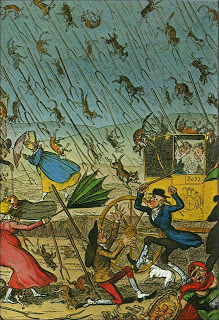 Strong storms rolling across the hills this morning brought to mind this 19th century image. 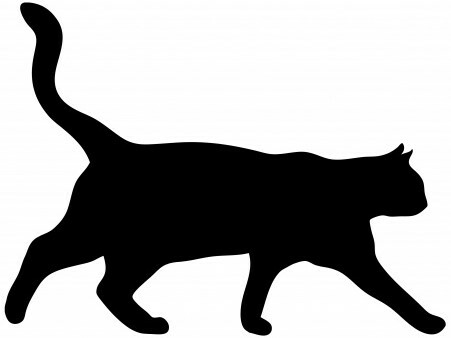 If you’ve never heard the expression “it’s raining cats and dogs” you might enjoy reading the possible origins noted in this Everyday Mysteries post. Some suggest this was inspired by tales of Odin, the Norse god of storms. While no evidence exists to support such a notion, it certainly presents a compelling image. It’s fair to say neither Buddy the Wonder Cat nor Sasha would venture out in stormy weather, although the cat did make it as far as a chair on the covered patio. Despite being sheltered on a chair well back from the patio’s edge, he was soon soaked, which led to time-out in the laundry room with Sasha for company, who wanted no part of the rain. This strikes me as funny given Sasha’s recent adventures with the lawn sprinklers–which results in me using every spare towel to dry her thick coat. She’s not picky about the towels I use, but Buddy The Wonder Cat won’t sit still if I use anything except his personal favorites. A fan recently emailed to ask for news about the next book in the Waterside Kennels series. He added “My wife and I really enjoyed Deadly Ties and are glad to have it in our library.” I’m happy to report that Dangerous Deeds is still on track for publication this year. I’ve committed most of this summer to editing for continuity (important in any book and essential when writing a series). Balancing pace and plot lines often leads to more revising and rewriting than I’d anticipated. Some writers claim to manage this easily; alas, I am not among them, but I am persistent, and eager to share this story with you. Sasha mastered both “leave it” and “drop it” early on in our time together. She was slower to embrace “take it” but we’ve made progress with that using her Puppy squeeze toy as part of indoor “fetch” and “bring it” time. I highly recommend these commands to all dog owners! 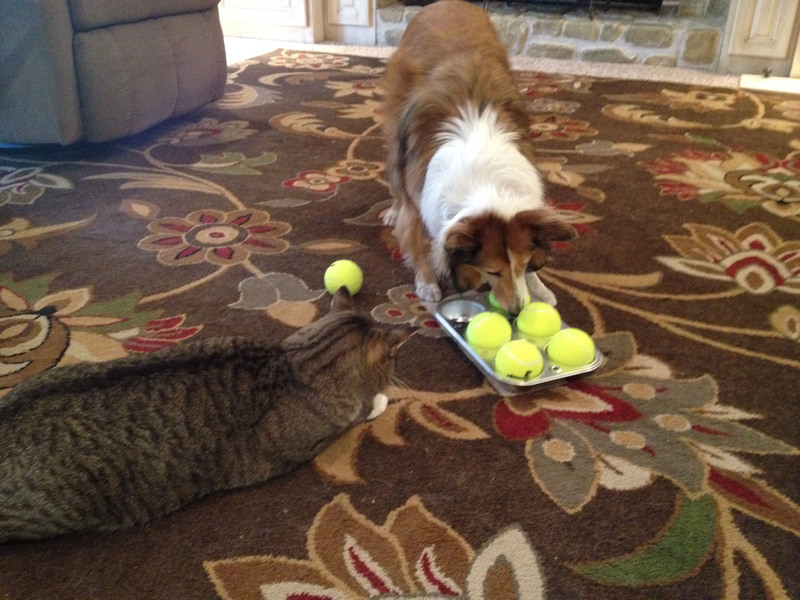 It’s fair to say the cat takes a personal interest in anything the dog does. Training time? Buddy’s right there to supervise. Yard patrol? They share sentry duty. If Sasha overlooks a treat during the Find It! game, Buddy finds it for her. 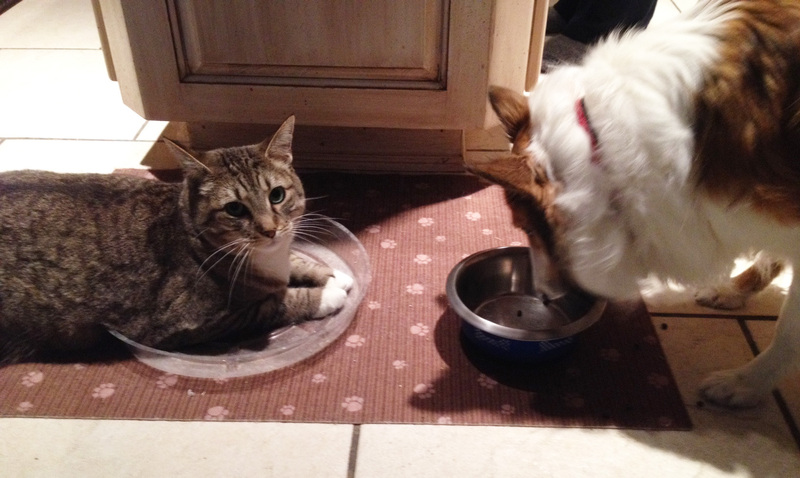 Feeding time creates shared moments, too, although the cat doesn’t share the dog’s passion for cucumbers and Sasha seems puzzled by Buddy’s penchant for ice cubes in his water bowl. You’ll see quite a bit of Buddy The Wonder Cat later this year–or at least his fictional counterpart. In Dangerous Deeds (Book #2 in the series), Maggie’s dog Sweet Pea finds an injured kitten and carries it to safety. Some of the injuries mirror the real-life accident suffered by Buddy The Wonder Cat a few years ago. 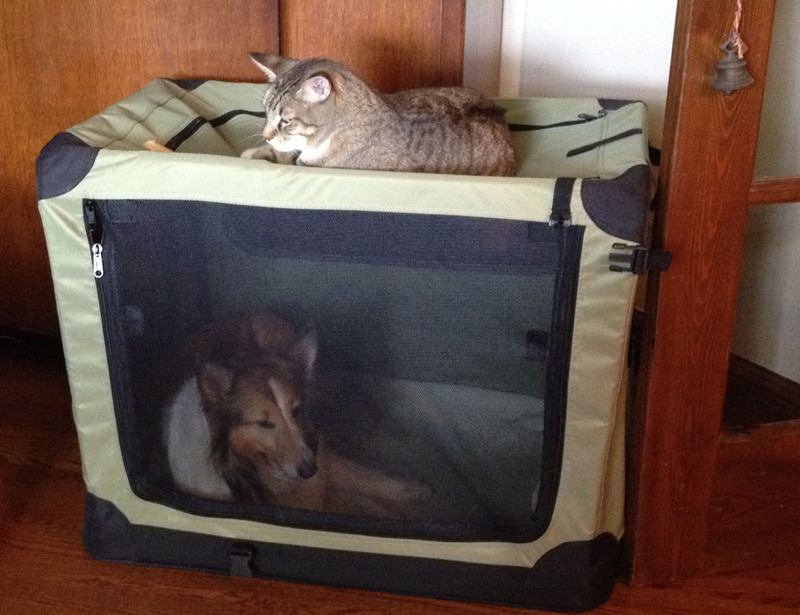 Confession: it was a traumatic experience for the cat, me, and the staff at the Crossover Veterinary Clinic. On the other hand, our vet (Beth Stropes, DVM) was remarkably cheerful throughout, assuring me that this wasn’t her first cat rodeo. It was then that I decided that if we all lived through the experience, that scene was going in a book. We all lived, and I kept my promise; Dangerous Deeds will be released this fall. In the meantime, here’s a slideshow of Buddy The Wonder Cat through the years. Enjoy! Most holiday weekends, our neighborhood sees an influx of out-of-town guests who bring their pets along. 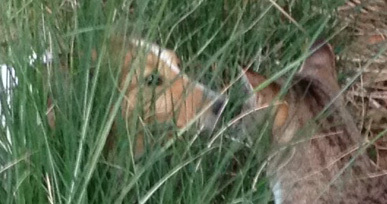 For those of us whose dogs are wary of strangers, the new arrivals can add a new level of anxiety. While vigilance–and maintaining a safe distance–can often prevent a full-blown canine crisis, it pays to have a plan in place to help mitigate stress. I have a plan. Several, in fact. Lots of strategies and tactics to put into place on our walks, in the park, or anywhere else we might care to go. What I didn’t have was a plan to mitigate the stress of strange dogs showing up at 7 am next door. Sasha and Buddy The Wonder Cat were in the backyard, enjoying the first rain-free morning we’ve had in a while. All was peaceful until we heard dogs barking and running toward the fence on our eastern boundary. Sasha, being a Sheltie and the good guard dog she is, ran over barking in response, with Buddy The Wonder Cat in close pursuit. There’s a wooden fence along the boundary; it’s the “shadowbox” kind with pickets offset on each side with slight gap between pickets. The gap is enough for animals to glimpse each other but not enough for even the leanest dog or cat to slip through. 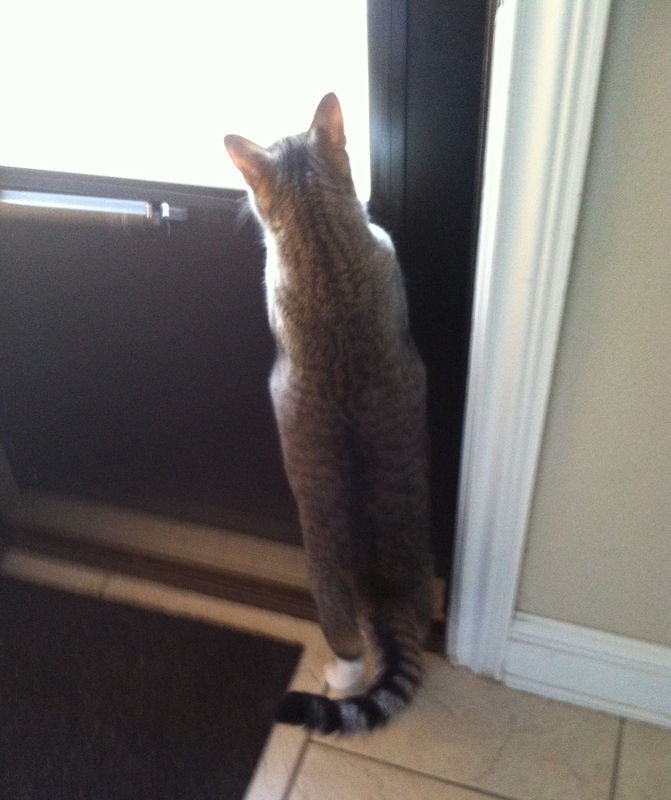 (Cats’ paws, however, are another story, hence my close attention when the boy is outside.) So with a fence between them, the interaction started off well. 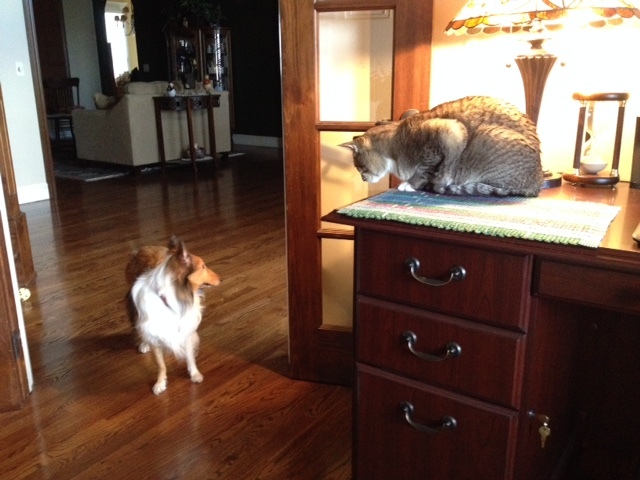 Buddy The Wonder Cat loves visitors of all kinds and was clearly eager to visit the Chihuahua who approached. Sasha followed head up, ears forward, tail in happy-wag mode, and the whole body posture suggesting a “happy to meet you” attitude. Her barks were conversational rather than confrontational. Even better, she paused after greeting the visitor and looked to me for approval. She was probably hoping for a tasty reward, too, but my bathrobe pockets were devoid of treats so she had to make do with happy-voice praise. Alas, the peace of the meet-and-greet was shattered when a bigger dog approached, shoved his nose into the gap, and hurled a barrage of barks and growls our way. Whatever he said, it wasn’t nice. Buddy immediately flattened on the ground, just as he does when a hawk swoops low across the yard. Sasha’s ears went back, tail and body lowering, and her bark tone shifted to classic “keep back” in seconds. I owe much of our progress to Beverley Courtney’s excellent workshops. If you have a dog that’s reactive or fearful, check out Beverley’s Brilliant Family Dog website and online training resources. You can find her on Facebook, too. Two years ago, we introduced Buddy The Wonder Cat to Sasha. 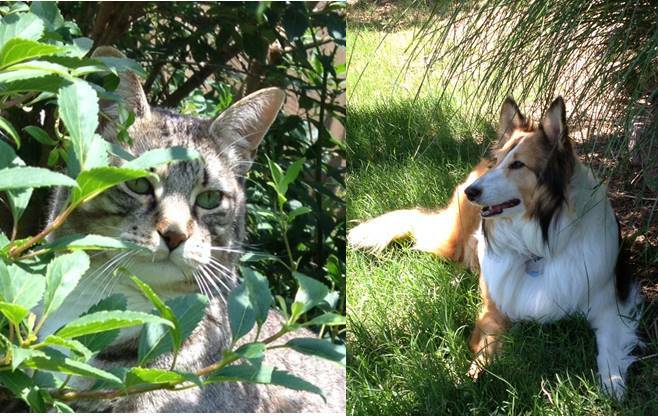 We’d been a one-cat household since Katie, our 14-year-old Calico, passed away, and without a dog for 17 years since losing our beloved spaniel Alix. It’s fair to say we were a bit nervous about bringing home a rescue with an unknown history but we hoped Buddy, being the (mostly) mellow kitty he is, would eventually accept the newcomer. They share most of the water bowls scattered through the house, although Sasha tends to ignore the bowl in the laundry room where Buddy is prone to wash his paws. Sasha also ignores the water bowl next to her food dish at the end of the kitchen island. That, too, is Buddy’s territory, where he likes to fish for ice cubes (really!) while he watches Sasha eat. I feed him first, having discovered that Sasha won’t start eating until Buddy comes to keep her company. Between his enthusiastic splashing and Sasha’s habit of drinking at the edge of the bowl and dribbling water in the process, all the water bowls have catch plates under them. The kitchen bowl is currently Buddy’s preferred place to dunk strings, grass, and miscellaneous things he drags in from the yard, so he has plenty to keep him occupied while Sasha eats. 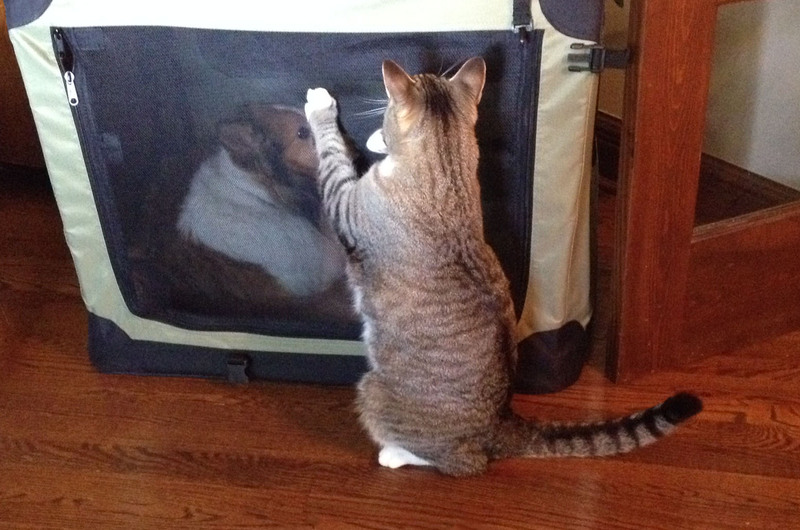 A cat with a dog of his own.